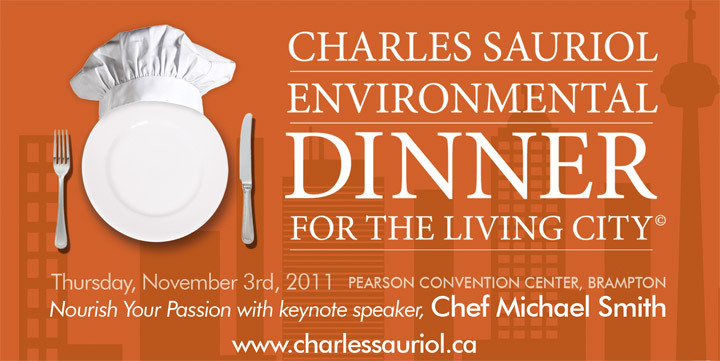 A great event is coming up: the Charles Sauriol Environmental Dinner for the Living City. It's being held on November 3rd, 2011, and takes place in Brampton, Ontario. Chef Michael Smith is the special guest. All funds raised go towards the purchase of environmentally sensitive lands. To purchase tickets, go to www.charlessauriol.ca. My name is Brittany Harris and I am a third year Ryerson Journalism student. 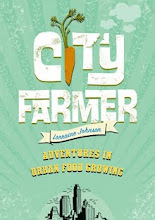 I am currently writing an article on sustainable living and urban foraging/growing for one of my classes. I also work at World's Biggest Bookstore and I have been reading your book. I was hoping that I could have ten minutes of your time and talk to you about sustainable living.